Get ready to make long lasting friendships, share laughter that echoes throughout the land and enjoy the most awesome and unforgettable running experiences. ​MOUNTAIN RUNNING CAMPS THIS YEAR! Our Rossland camp is suitable for beginner to Intermediate runners, with a downhill technique clinic and shorter days. This camp will be organized and hosted by Red Mountain Resorts and the P.A.C.E. team will be leading the runs and events. RED Mountain will be releasing more information soon and as soon as they do, we will share the awesome details. Our Revelstoke camp is an intermediate to advanced camp that's suitable for folks who want to spend longer days exploring the backcountry trails. We will be offering four days of high alpine running with distances covering 20-35k per day. We will have shorter options (3hrs) on two of the four days for anyone who wants to run a little less but still soak up the fun of our camps and the backcountry. P.A.C.E. has been guiding trail running camps for over six years and we put a strong emphasis on adventure, safety and personal experiences. 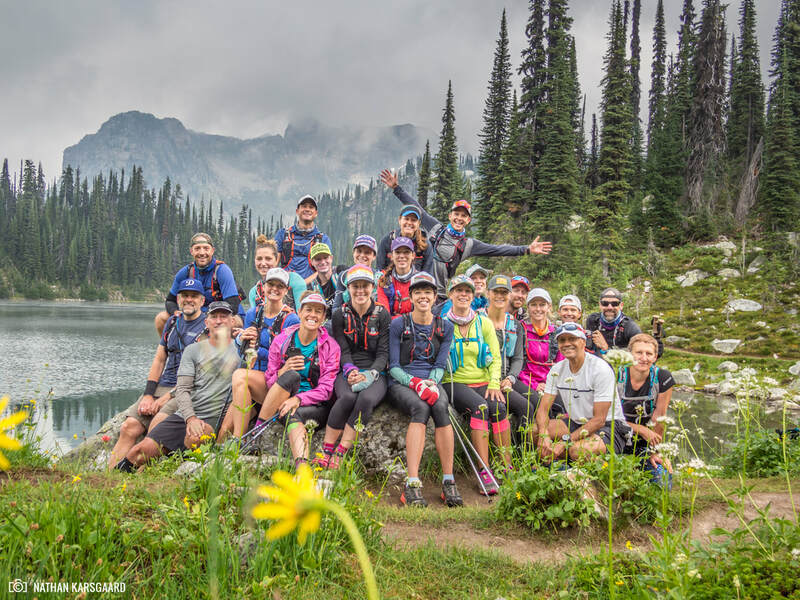 Our camps include dinners, wine, beer and swag, on top of having a friendly, experienced and fun team of six trail mentors to help lead our participants on some of the most beautiful backcountry terrain in the area. ​We love the mountains and sharing it with others only makes it sweeter.